Welcome to your Linwood Farm. Whether you live near or are just passing by we aim to provide the best dining and drinking experience for customers of all ages. 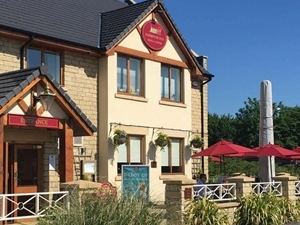 Our extensive Menu is packed with delicious pub classics as well as a traditional carvery, served daily, which boasts a fantastic choice of fresh seasonal vegatables, our signature flavoured potatoes and succulent roasted meat joints. With families in mind we have also incorporated a kid's play area into the family dining area which is proving to be a hit with our younger customers. Sorry, but we have no upcoming events for Linwood Farm. If you know of an event taking place at Linwood Farm or anywhere else in Renfrewshire tell us about it and we'll list it on the website, for free!